Now Introducing the "Long Term Support" version of "LinsPirat v1.0"
"LinsPirat LTS" is by no means a replacing version of "LinsPirat v1.0". Simply because they taste different. This's not any elementary work either. Build upon and with ideas and even files from great mods and CFWs (view credits). - THIS CFW is based on C6v41 Fresh Port by Die2mrw007. 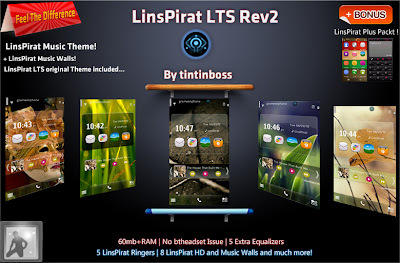 -- Some People claimed that LinsPirat was built upon their CFW, which is of course partially truth as it's built from many hard working modder's Mods and files. Then again, It's been built from scratch (which also is not scratch but fresh port of C6v41 by Die2mrw007 ) anew to make things clear.. I'd really like to add a lot more person's name in the credit list. I don't remember whose mod is which one and lost track which of those I integrated. I personally feel that we're not Nokia Guys to build something Individually neither am I professional in making CFWs or charge for them. It's part of fun and hobby. Also the culture's been exploring all the available mods and exclusive inclusions in CFWs and making a good combination to make something tasteful for the flashers around us. So it'd be nice if everyone takes it that way. Also, I don't crave for credits. If I like anything- that is appreciation from friends. //I'd be glad if you just mail me your new work link at rifat_rifats@live.com"
So that I may flash my phone with your CFW once. Hope everyone gets my point. Die2mrw007 from Gizmolord for helping a lot every now and then and supporting me in critical moments... Really great to be with you people . 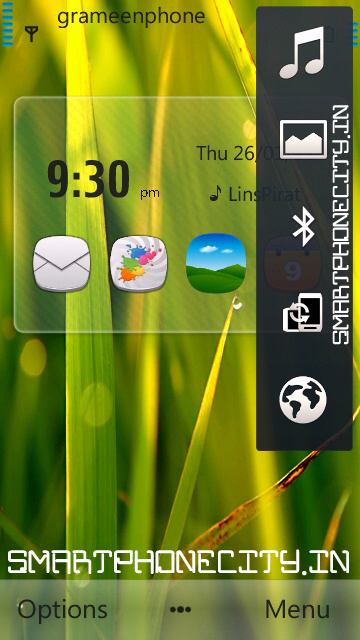 --LinsPirat Music Theme was inspired from giulio7g's HTC Future Anna theme. Thanks to him for wonderful theme. --Restart device after first boot. --Junk files cleaner - x-clear (Python 2.2 needed). TO INSTALL ANY QT : Well though there's a lot qt fixes around, they seem to have conflicts with SmartInstaller.